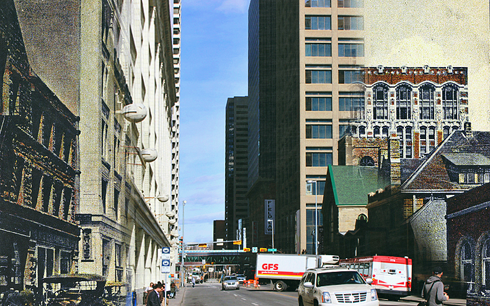 The following is the continuation of my downtown Calgary, Alberta ghosting series. 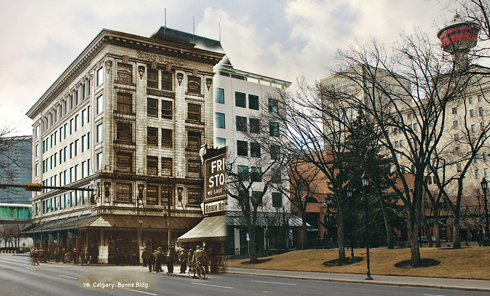 The process of ghosting involves merging archival images with photographs of the same locations today. 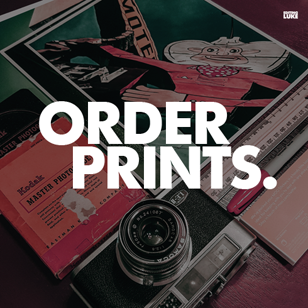 Here are some of the latest additions featuring Calgary's downtown core. 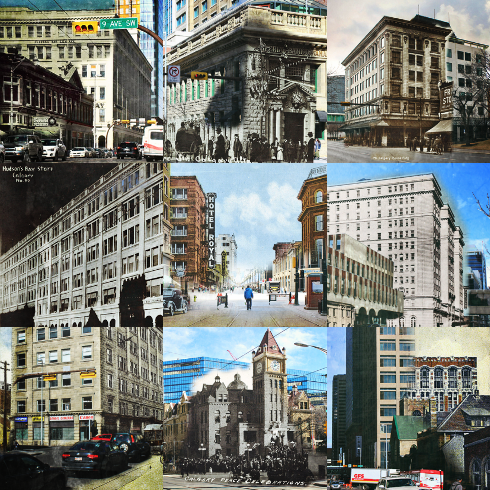 Burns Building - 1920 merged with 2016. 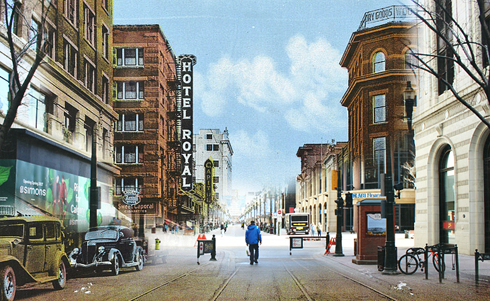 Stephen Avenue - 1940s merged with 2016. The dramatic changes to 8th Avenue over the decades are especially clear in this image. 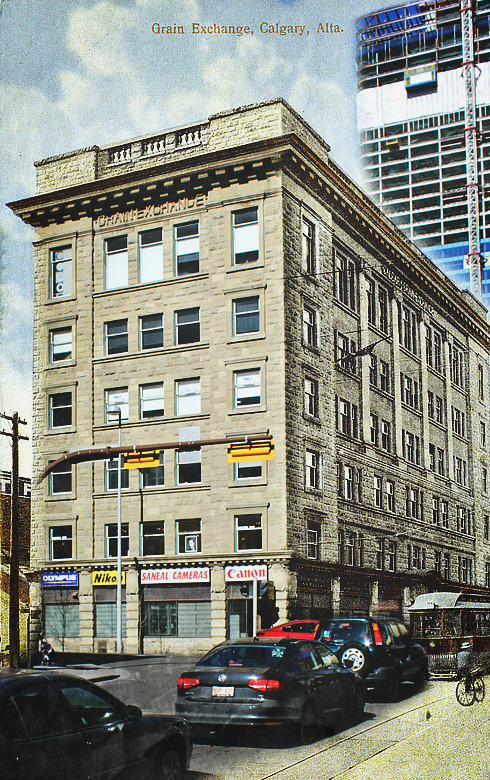 Palliser Hotel - 1940s merged with 2016. Imperial Bank - 1910s merged with 2016. It's always cool to see these old street scenes and then imagine how amazed these people would be to see the towering structures that make up the scene today. 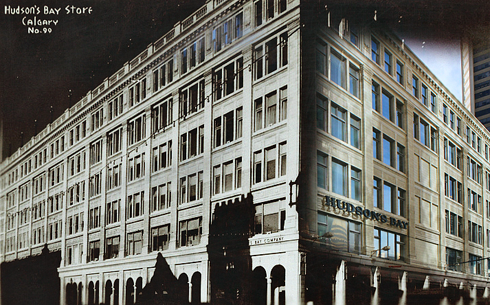 Hudson's Bay Department Store - 1930s merged with 2016. Minor changes to the facade show just how familiar this structure has remained over the decades. City Hall - 1918 merged with 2016. 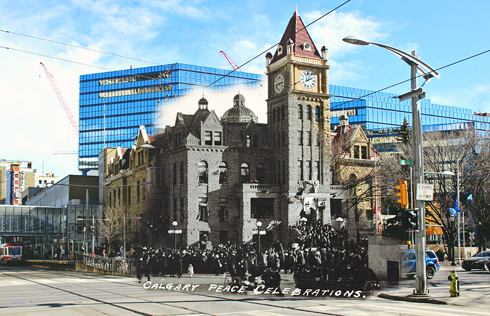 Calgary citizens gathered outside of City Hall to celebrate the end of World War I is contrasted with the modern surroundings of the structure today. 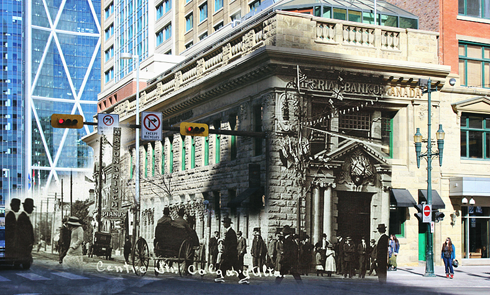 Grain Exchange - 1912 merged with 2016. One of Alberta's earliest office towers is contrasted with one of its latest as the construction of Brookfield Place dominates the background. 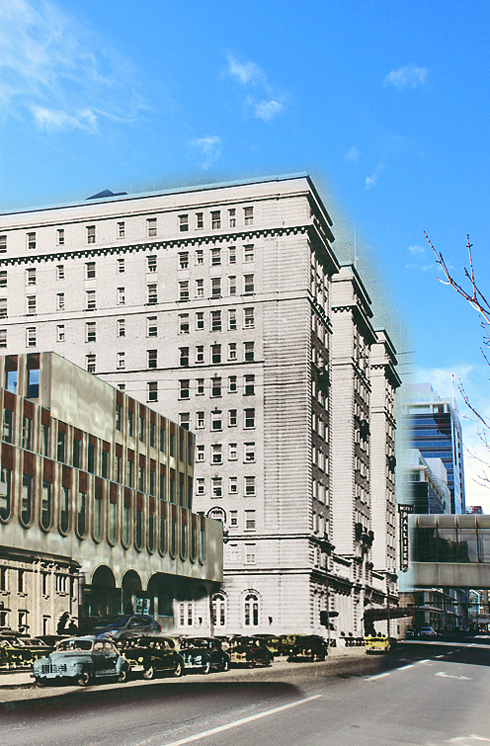 Herald Building (on the right) - 1920s merged with 2016. 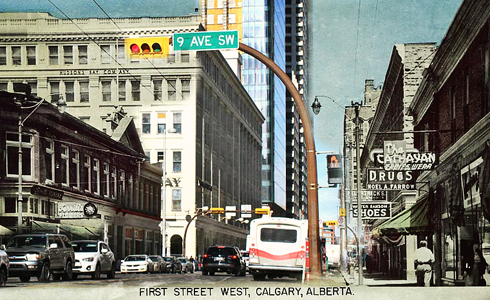 First Street West - 1930s merged with 2016.